A wave of independent coffee shops has spilled across Metro Vancouver in recent years. And while Richmond might be better known for its multitudinous bubble tea emporiums, the city is also home to some intriguing artisan java joints, each with their own dedicated followings. 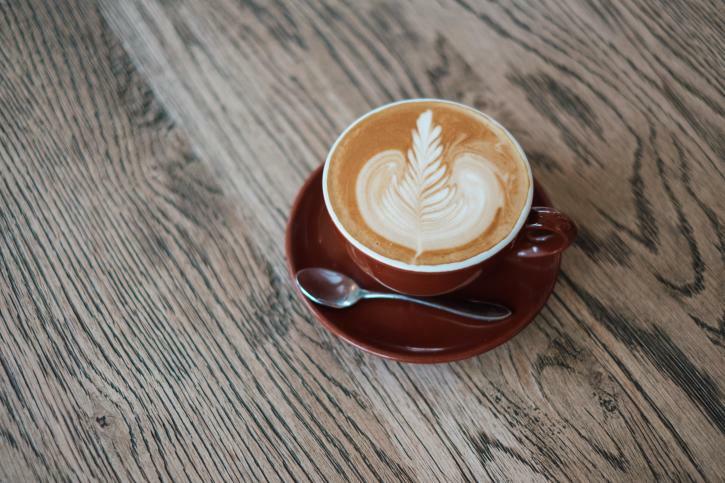 We’ve taken the stress out of hunting down your next caffeinated beverage with the following list of must-try local coffee shops. Read on, then head out on your own citywide coffee crawl. Well-hidden but only steps from the Canada Line’s Aberdeen Station, this inviting little nook has one of the most distinctive visual themes of any Richmond coffee shop. Studded with test tubes and wall-mounted chemical formulae—including the four-element code for caffeine—there’s a quirky chemistry theme on display at Noire Cafe that extends to a perfectly-concocted drinks list, ranging from coffee classics to matcha lattes and rich cocoas. On our visit, a full-on Halloween theme was also on show, including the chance to share a table with a lab-coated (but not very chatty) skeleton. You don’t have to be a bike fan to check out Sanctuary. But this large and sparkling cycling-themed coffee shop, located not far from the riverfront in London Landing, is the perfect pit stop if you’re planning a scenic shoreline ride. With its faux brick walls and rustic chic feel—as well as a handful of cool bicycle frames mounted on the walls like artworks—there’s a European café ambiance here that invites laid-back chats over great coffee and baked treats. The kind of friendly place you wish was in your neighbourhood, they also organize their own group runs and bike rides—ask for details when you drop by. Richmond’s fanciest spot for coffee, this chic French-inspired restaurant and Asian art gallery serves great lattes and espressos. 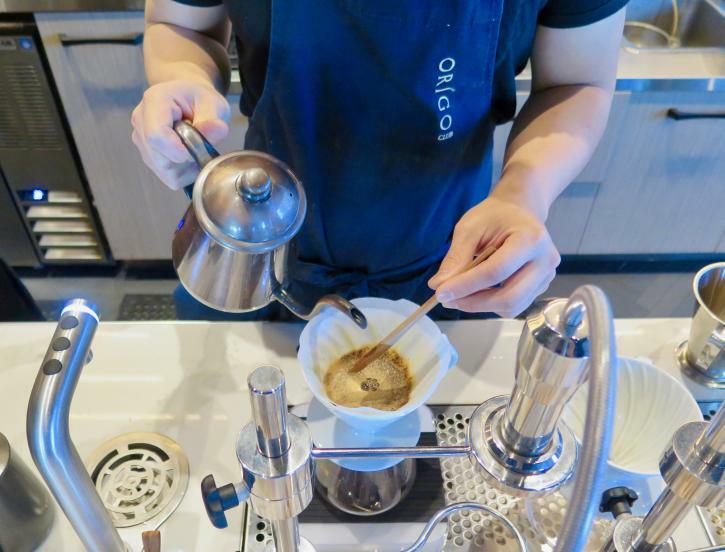 But Origo Club&apos;s ‘pour over’ option is the perfect way to test your coffee connoisseurship: amazing single origin beans ground for your order and prepared in a pure, flavour-revealing manner. Like sampling fine wine, the trick is to slow down, read the tasting notes and savour the subtle, often fruity nuances. 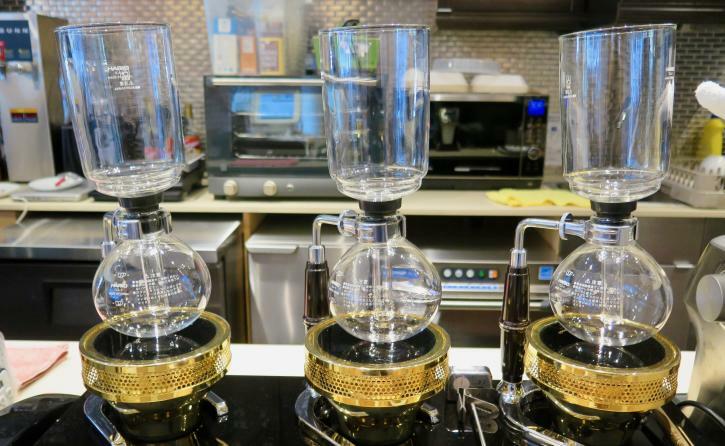 Pour over prices start at $7 but the experience is a revelation: you’ll never drink coffee in the same way again. Need an extra reason to visit? There’s a cabinet full of decadent pastries here as well. A hidden gem not far from the Canada Line’s Lansdowne Station, this white-tiled corner coffee bar is a warming oasis on dull, rainy days. Step inside for the smiling staff, jazzy soundtrack, and boutique array of treats and pastries—ranging from matcha shortbread cookies to dainty macrons and rich chocolate mousse cakes. Grab one of the tiny tables so you can stay a while, sipping your well-made beverage and flicking through a book: there are some poetry titles on a shelf here if you’ve left your book at home. It’s the kind of place you’ll easily find yourself settling in for far longer than you anticipated. Steveston Village isn’t just about great fish and chips; you’ll also find several inviting coffee shops to salve your caffeine cravings. Perhaps the hippest of the bunch, Rocanini serves drinks crafted from beans processed in its own Vancouver roastery. From espresso to cold brew and from lattes to siphon coffees, there’s an extensive menu of options (plus pastries and sandwiches) to dive into. Snag a window perch and watch over the bustling Moncton Street and No.1 Road intersection. After your coffee, cross the street and head over to the Steveston Interurban Tram building for a step-back-in-time visit. A stalwart of the Richmond coffee scene from the days when artisan java was barely on the menu in Metro Vancouver, this clapboard Steveston Village charmer has a loyal following in the village and beyond. Drop in for all the standard coffee classics plus a hearty menu of bagels, breakfast items, and fortifying sandwiches (turkey recommended). Sunny day? Snag a streetside seat outside. This is also the ideal Moncton Street spot to fuel-up at before a leisurely on-foot exploration of the many cool shops dotted throughout the village. 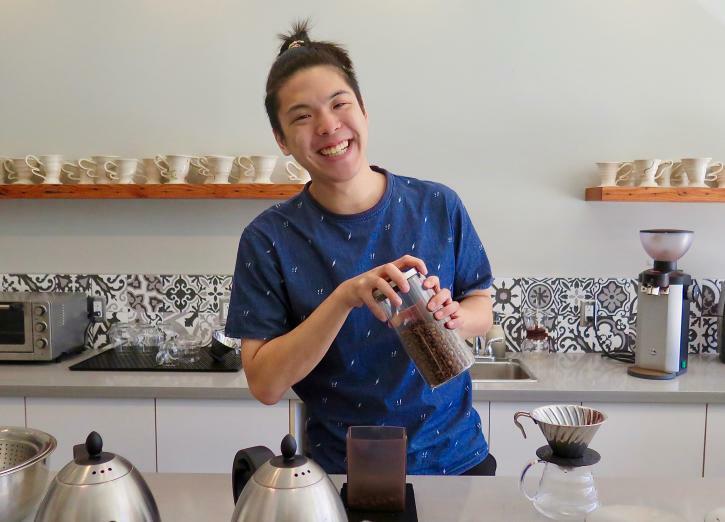 Like no other Lower Mainland coffee shop, this warm and welcoming hangout is as much about communing with owner Vincent Wong as it is about sampling the perfect coffee he’ll be preparing for you. As soon as you arrive, he’ll start chatting with you about the kind of coffee you like or the mood you’re in, aiming to ascertain the perfect beverage for you. There’s no price list but your pottery-cupped coffee—made from a personally-ground batch of fine beans from regions such as Kenya or Guatemala—typically costs around $15. For that, you’ll get to slow down, sip an amazing brew, and chat with Vincent about coffee and life in what feels like his living room. Looking for a unique Richmond coffee experience? You just found it. We are a team of enthusiastic people who love our city and strive to make every visitor’s experience amazing.